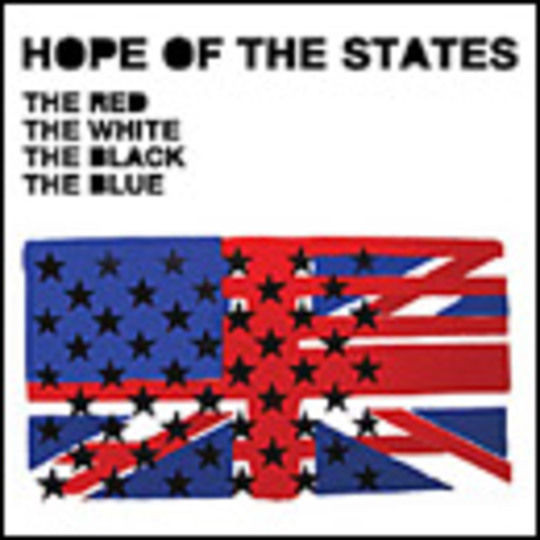 Upon first hearing 'The Red The White The Black The Blue' an alleged record-company guy remarked to me; "It's not a top-ten hit, is it?" and in fairness to the boy, it seemed intially like a fair statement. However, as 'TRTWTBTB' looks set to sail into the the upper echelons of the pop 10, we can only reflect that perhaps, Hope Of The States actually know what they're doing, much against many other people's judgements. And indeed, over a series of plays, the song reveals hidden depths, multiple sonic layers and a beating heart beneath it's hard exterior that makes it more akin to a snarling Doves than anything other influences previously attributed to them. And to quote someone famous, HOTS are still a mystery wrapped inside a puzzle inside an enigma. Indefinable still, confusing and surprising at every turn, it's still about turning heads and proving people wrong. A top ten hit all round, then.